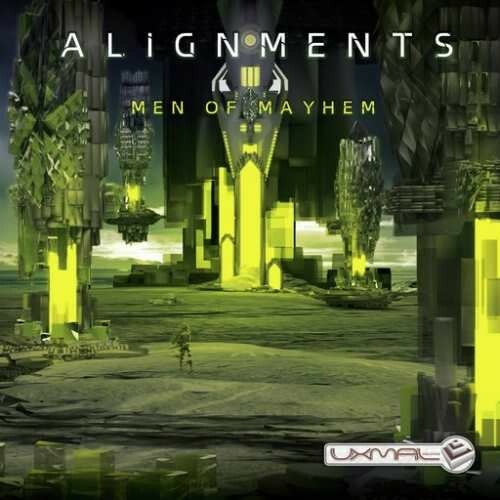 Uxmal Records proudly to present the 2nd Studio album of Alignments 'Men Of Mayhem'. This time Daniel deliver 10 pieces of artillery, with raw development, intrincate sequences, irresistible grooves established the rogressive boundaries that take the concept beyond with through the metamorphosis Psy-Progressive. The album includes 9 unique Original tracks and 1 outstanding remix to Roger Rabbit (Rotem Doron) From his Track called 'Brainstorming' The last track of the album features a special Ambient closing tune.